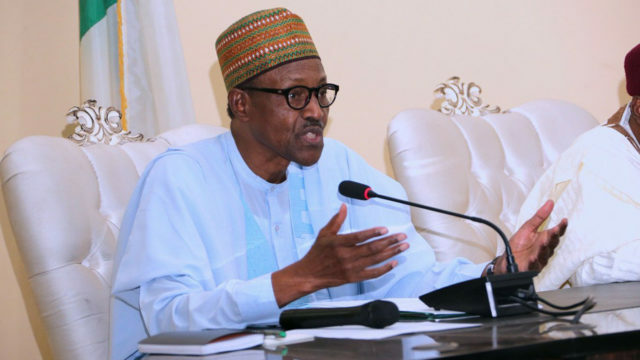 President Muhammadu Buhari has said that the Federal Government’s key policy objective of rejuvenating the mining sector was being realised as witnessed by the diversification of the economy and broadening of the country’s revenue base. Buhari, who spoke while receiving the national executive members of the Nigerian Mining and Geosciences Society (NMGS) at the State House, Abuja, also expressed delight with the ongoing formalisation of illegal mining as a way of curbing its implications on national security, revenue generation, the environment, health and safety of the citizens. A statement signed by Senior Special Assistant on Media and Publicity, Garba Shehu, quoted the President as saying that his administration has been vindicated in its assumption that the nation’s endowment in mineral resources, the mining and solid minerals sector have the potential to create employment, increase revenue and reduce poverty. According to him, Buhari attributed the successes recorded so far to the Federal Government’s policy of increasing budgetary allocation to the Ministry of Mines and Steel Development, formalisation of illegal mining; approval of funds from the Natural Resources Development Fund to support small miners and enhancing capacity and human capital development. The President, he said, also noted that the strengthening of the regulatory framework, enhanced transparency in the licensing process, and the ease of doing business played significant roles in the achievements recorded in the mining sector. Besides, the Minister of State, Mines and Steel Development, Abubakar Bwari, who introduced the visiting members of the NMGS, said the favourable government policy in the sector had led to the activation of dormant mining licences, increase in earnings by the government and the prevalence of “mining prosperity” in the country. Also, President of the NMGS, Prof. Silas Dada, expressed gratitude to Buhari for being the first Nigerian leader to be conferred with the society’s grand patronship in person. He also joined other members of the delegation to confer the laurel on the President who now becomes Grand Patron of the NMGS. Meanwhile, Bwari has said that Nigerian investors do not go into mineral exploration, rather, Chinese are investing in the sector. He said the Federal Government doesn’t have any challenge with any nationals that would want to contribute to economic diversification agenda, in as much as they abide by the laws of the country. The minister, who stated this at the international conference on lead poisoning, yesterday, in Abuja, noted that Chinese are getting licences to explore the mineral in hinterland using indigents of the community.